We provides voice recognition and translation services for businesses that need localized content for Africa and Asia. We specialize in preparing voice and text data for machine learning applications, through specialized and scalable parsing and labelling techniques that leverage distributed teams of language experts. we design machine learning models in-house and also works in close partnership with leaders in voice-recognition for African and Asian languages. grant, Uliza's ceo and co-founder, began thinking about how to make phones better information portals for people who speak local languages while working in Sierra Leone. phones are everywhere, but literacy in english is not. This idea eventually formed Uliza when he met Maity and Janeth at Tufts university. we bring years of experience in behavioral economics, finance, software development, machine learning, and problem solving in the field. Grant has a background in applying technologies for development, economics, and startups in Africa. Grant began thinking about how to make phones better information portals for people who speak local languages when he was in Sierra Leone working with MIT. This idea became Uliza when he met Maity and Janeth. Grant is based out of Cape Town. Maity has a background in mathematics and finance. He has worked as a management consultant in the United States, and has experience as an economics teacher in India and in startups in Lebanon and the United States. Maity is a scrupulous data wizard. He is based out of Washington, D.C.
Janeth is a computer scientist specializing in natural language processing and has worked as a technology analyst for Deutsche Bank. 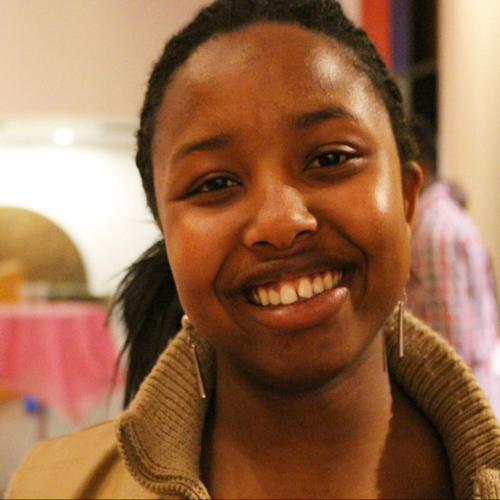 A native Kiswahili speaker, Janeth is based out of Raleigh, NC. Ashir is a computer scientist specializing in machine learning at Dickinson College. He has experience in building neural networks and web-development, and is a native Hindi speaker. Nicholas is a tenacious developer with the ideal mindset for a young tech-startup. He has an undergraduate degree in biochemistry and graduate degree in public health, and he is an impressive self-taught software developer, focussing on web-development. He is based in Washington, D.C. Welcome to Tosin, our machine learning intern from MIT. We’ve transcribed 130 hours of Hindi audio for Mozilla and Gram Vaani. That’s 1 million words! Started work with the Mozilla Foundation and Gram Vaani. Excited to build Hindi speech recognition tools! We transcribed 21 audio hours of Kiswahili in a week! our beta product is currently available here. please contact us at info@uliza.org for early access to our platform.